The Heritage Inn Hotel & Convention Centre is proud to be the official title sponsor for the 2019 WILDR Rough Runner event! To you have what it takes? 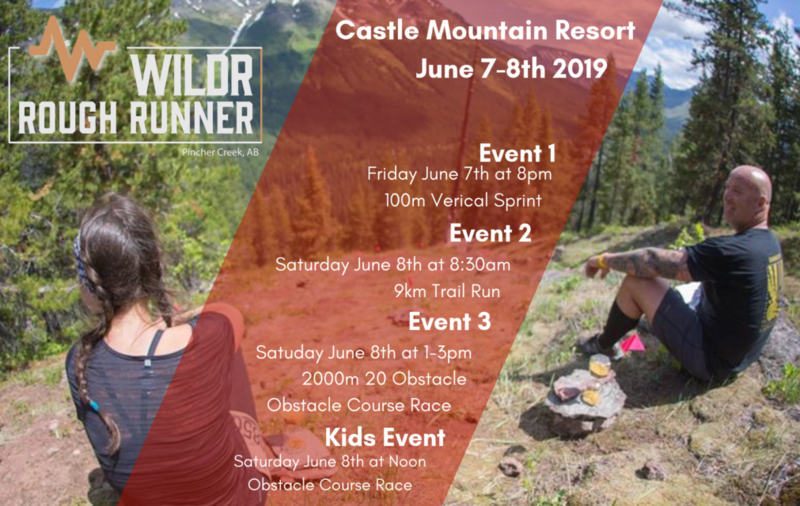 Push your limits this summer and experience beautiful Castle Provincial Park during the 2019 WILDR Rough Runner, June 7th - 8th, 2019. With three events, there is something for everyone. Choose from the Wild Vertical 100m Sprint, Rough Run Trail Run, or the Rough Runner Obstacle Course Race, or take part in all three! For complete event details and to register, visit the WILDR Rough Runner website. Check out the video above for a look at what you can expect when you run at WILDR Rough Runner. We are offering a special room rate for WILDR Rough Runner participants! Call the hotel at 403-627-5000 or toll-free 1-888-888-4374 and ask for our special "WILDR" room rate.